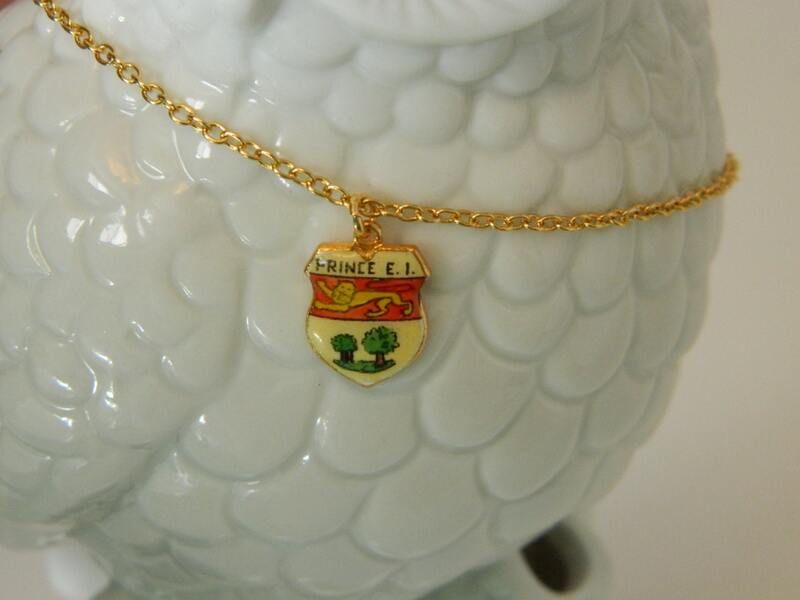 Vintage Provincial Shield Charm on a new 18k gold filled chain. 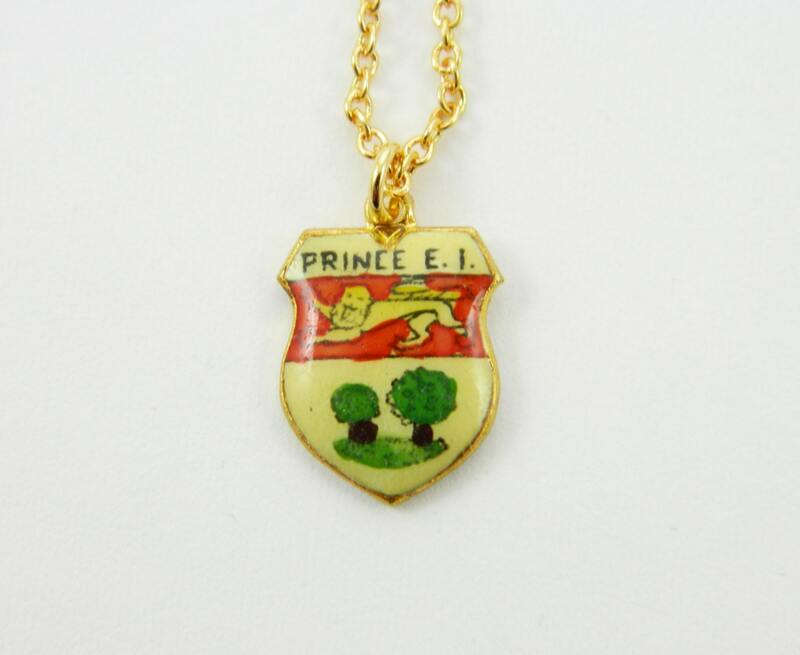 Charm Made in Czech Republic in the 1967 to commemorate Canada's Centennial. 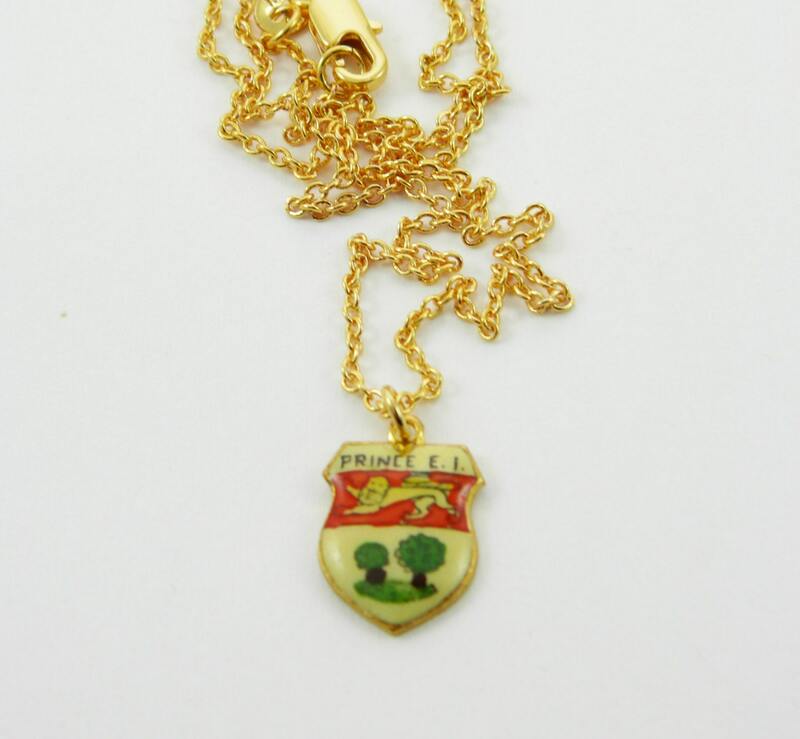 Charm Material: Brass and Enamel.